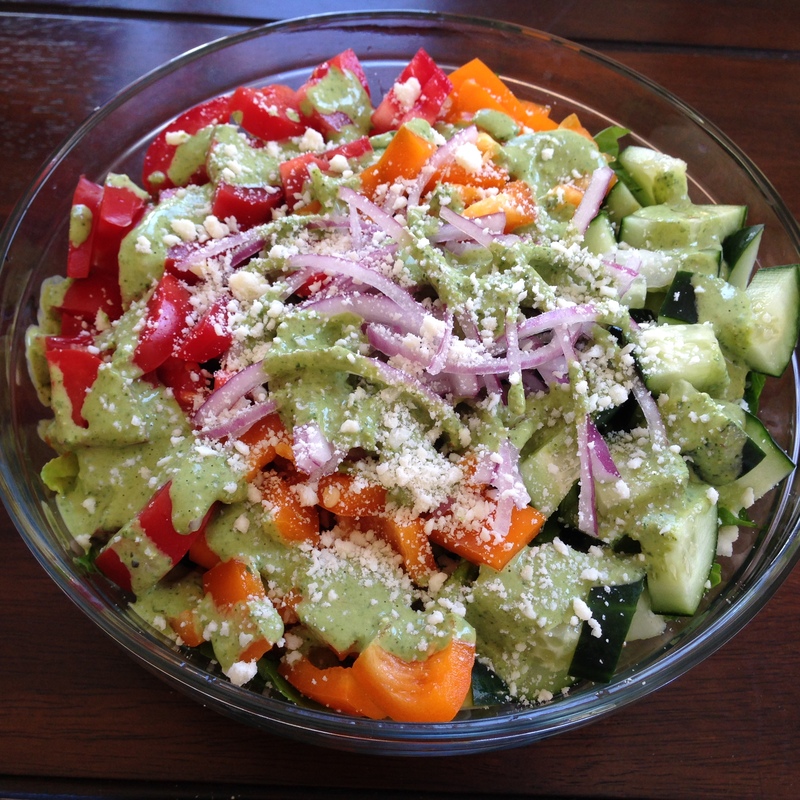 I wanted a nice fresh salad to go with homemade cheese enchiladas and came up with this cilantro chipotle dressing. I absolutely love cilantro and pumpkin seed dressing, but I had never made it and I didn’t have any pumpkin seeds around, but pine nuts worked great and the chipotle pepper in adobo sauce gave such a nice smokey note and a little spice to this dressing! We had the cilantro chipotle dressing tossed with romaine, tomatoes, orange bell peppers and red onions, and sprinkled with cotija cheese. I bet adding more pine nuts and some kind of dried fruit (like apricots) would be delicious too, but we kept it simple.